Madam Doctor | Old Morris Tobacconist Victoria BC, Fine Cigars, Humidores and Tobacco Merchantile. 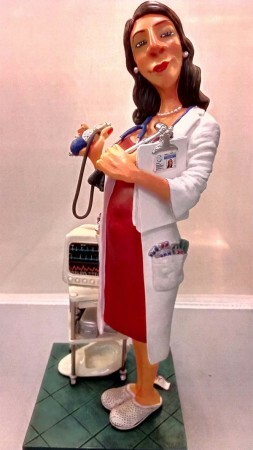 Forchino's Madam Doctor has flowing long dark hair and wears a delightful 3/4 red dress. In her hands she holds a stethoscope and blood pressure gauge––whoever she is attending to, they're in good hands!